Skye Gravestones | John & Flora (Montgomery) Berends. John & Flora (Montgomery) Berends. 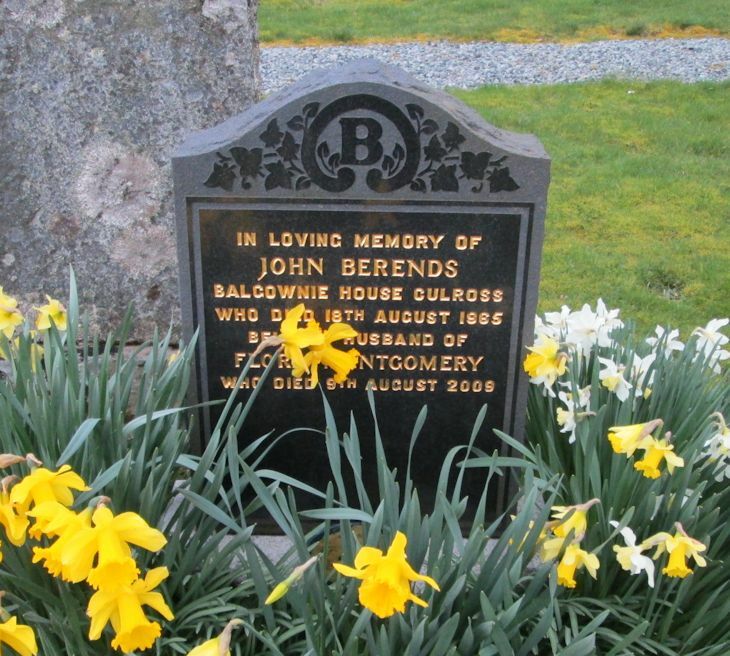 In loving memory of/JOHN BERENDS/Balgownie House Culross/who died 18th August 1965/beloved husband of/FLORA MONTGOMERY/who died 9th August 2009..
Flora Montgomery I think Roddie. Added by Richard Stoddart on 27 April 2016. Added by Roddie Macpherson on 28 April 2016.